Tilt/shift photography (the real kind, not the kind you fake with a computer) can be quite fascinating and is a key component of high quality architectual photography. I have often wondered why Canon’s tilt/shift lenses didn’t come in wider focal lengths than 24mm. 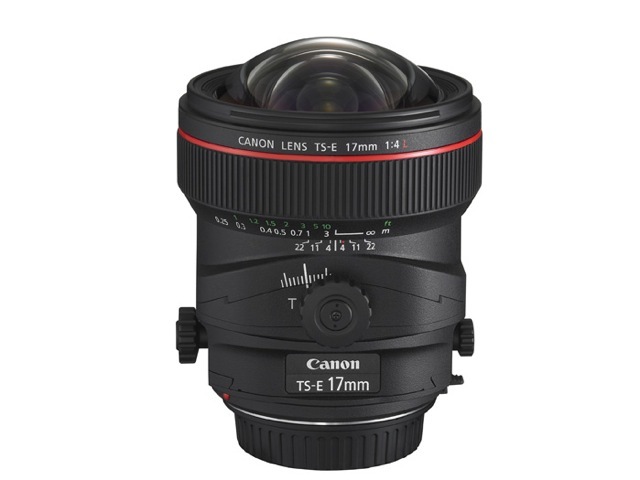 Tuesday, Canon announced the TS-E 17mm f/4L lens. This lens promises to make high quality wide angle tilt/shift photography available to APS-C sensor cameras (27.2mm equiv) while allowing full frame and 35mm film users to explore a whole new world of creative possibilities. If it is anything like Canon’s other TS-E lenses I’m sure (to the right people) it will be worth every penny of the $2,500 Canon is asking for it. Scheduled to ship in May. I’m a wide angle lens freak stuck in a kit lens body. I had a Sigma 10-20mm super wide zoom for my first Pentax K10D and it stayed on more than 50% of the time. Later I rented a Canon 17-40 f/4L for a couple of days in San Francisco and shot a bunch of picts with it on my 5D. Awesome. Here’s a link to some of my wide angle shots on Flickr. I thought 14mm was as wide as one could go on a full-frame lens. Imagine my surprise when Ken Rockwell posted his review of the extremely rare Nikon 13mm f/5.6 rectilinear fisheye. Check it out. No barrel distortion what so ever. It is truly amazing stuff.